This reporting was done in partnership with Flatland, the digital magazine of Kansas City PBS. Find all of the stories here. In fact, wind energy companies are the largest recipient of federal energy subsidies, making up 37 percent of subsidies in 2013, according to the U.S. Energy Information Administration. From 2016 to 2020, the federal government is projected to lose $23.7 billion in tax revenue through the wind production tax credit, according to a 2017 report by the Congressional Joint Committee on Taxation. Nonetheless, the incentives have been effective, adding an annual average of 1.4 gigawatt hours of energy, according to research from Stanford University, which reviewed two decades of federal tax credit data and the growth of wind energy. 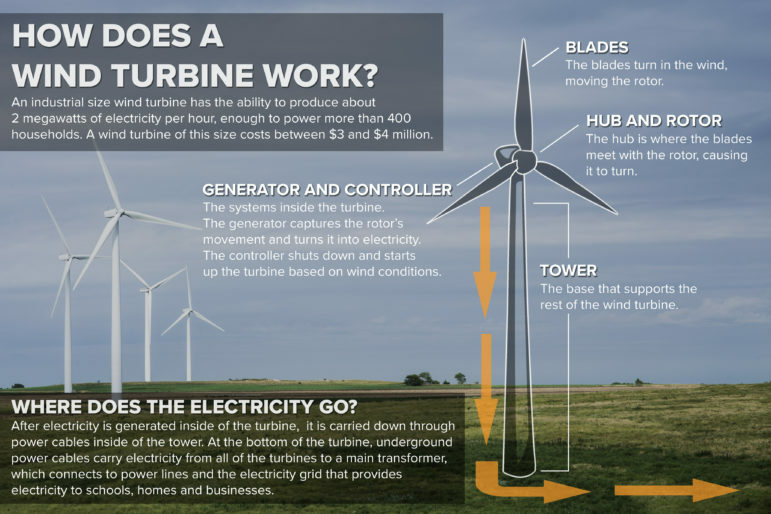 The research found that when the credit lapsed, so did construction of new turbines. Giving tax credits — largely the federal production tax credit and in some cases, state tax credits, said David Loomis, a professor at Illinois State University. Federal incentives make up about a third of each project’s cost, Loomis said. While the federal production tax credit is currently in the process of being phased out over the next five years, researchers say it has produced numerous jobs and billions to the economy. Kevin Steinberger, a policy analyst at the Natural Resources Defense Council, found that these credits added 22,000 jobs and $23 billion to the economy in 2017 alone. Although federal and state tax incentives make a large difference in making wind energy profitable, the role that property taxes play in decision-making is less clear. The wind industry touts the benefits of construction jobs and increased property tax values, but inconsistencies in how wind turbines are assessed for property taxes make the impact of wind turbines on local tax coffers difficult to determine. Most states have a system that varies from assessor to assessor, making the tax burden unclear, particularly before the turbines are installed. School districts are the largest recipients of property taxes. More than 99 percent of wind turbines are in rural areas, where school districts have been stressed by the decline in rural America. About 71 percent of wind turbines are located in low-income areas, while 46 percent of wind turbines are in counties with high child poverty. The systems that states use to attract wind farms vary significantly. Iowa offers a $0.015 production tax credit, similar to the federal production tax credit, and a five-year property tax exemption for the added value. Illinois, Indiana and Missouri offer no incentives. In Nebraska, instead of property taxes, wind energy companies pay a capacity tax of $3,518 per megawatt of generating capacity annually. Oklahoma offered a 5-year property tax exemption, but the state made up for it by paying school districts an amount equal to those missing taxes. In Kansas, the state offered a lifetime property tax exemption. Other incentives helped spark a building boom that eventually made it one of only five states that generate more than 20 percent of their power from wind. In Texas, the state legislature gave property tax exemptions to renewable energy companies that brought industry to rural areas. That meant a loss of $5.8 billion in property taxes over the life of the exemptions, which is 10 years. The state has promised to cover those losses with payments to local school districts, according to the state comptroller’s most recent report. The Austin-American Statesman originally reported on this issue. 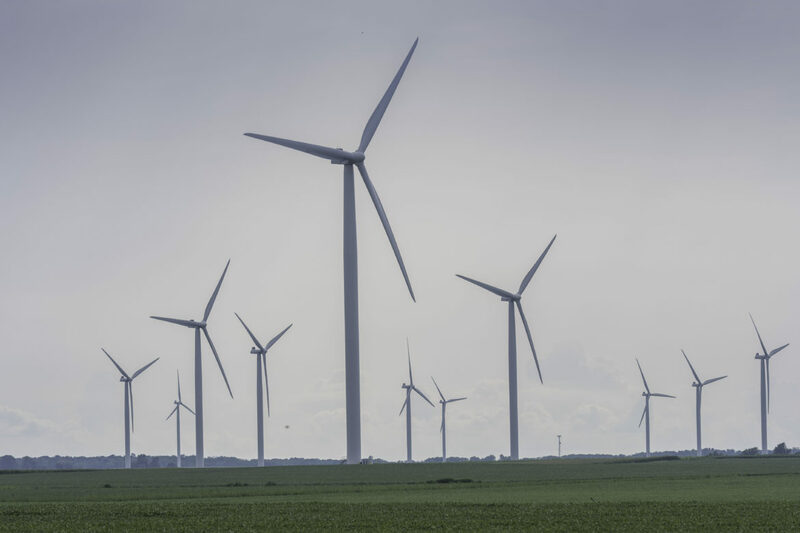 So far, Iowa and Oklahoma, which lead the way in subsidies, are also set to receive the most income from property taxes by 2020, according to a report commissioned by the American Wind Energy Association. In 2020, Iowa is set to receive $120 million, while Oklahoma is set to receive $80 million in property taxes.